You might think that using a professional bathroom designer to manage your renovation is unnecessary and costly. In fact, there are several benefits of having an experienced designer managing your bathroom or shower room refurbishment – and if you choose a prestigious bathroom company such as European Bathrooms - design and planning is an integral part of our supply and installation service. 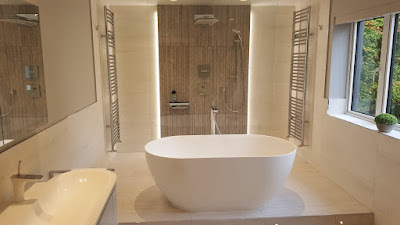 Expert Bathroom Design and Advice - We provide professional design services with every installation project. This is because we believe quality design input is fundamental to creating unique, beautiful bathrooms. Our knowledgeable designers spend time getting to know your exact wants and needs, whether it’s a stylish family bathroom or luxurious wet room, enabling us to develop your perfect layout and aesthetic. Optimise Your Bathroom Space and Storage – Whether you live in a modern or period property, every bathroom is different. Alcoves, wall thickness, doorways, windows and ceilings, plus the position of plumbing, pipework and electrics, all need to be considered when re-modelling. But just because your bathroom has always had a certain set up, it doesn’t mean it has to stay that way. A key benefit of having an experienced designer on board is that they can show you how to optimise every inch of bathroom space. Ranging from substantial changes, such as re-configuring fittings for a better flow and layout, or making the room bigger by extending into an adjoining bedroom or hallway. They can also suggest smaller changes, such as making the most of ‘dead space’ by tapping into stud or plaster walls to make stylish recessed shelving or swapping straight edge shower and bath units for space-saving curved ones. Using a designer allows you to tap into an array of design ideas that you may not previously thought possible. Not leaving enough room - Bathroom units must be a certain distance apart to ensure comfort and convenience. Although you may be keen to squeeze in a separate shower and bath, if there isn’t adequate space it will be cramped and awkward to use. 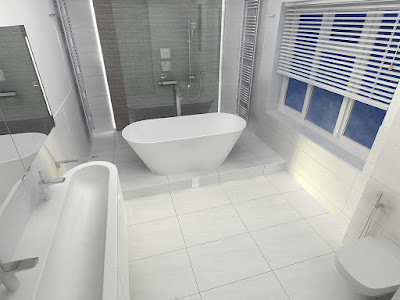 Treating lighting and ventilation as after thoughts – Bathroom lighting can make or break a bathroom. An ill-placed light can cast harsh shadows right where you don’t want them. While inadequate ventilation can cause poor airflow leading to condensation and mould. Failing to meet Building Regulations – Although re-fitting a bathroom doesn’t generally require building regulations approval, some drainage or electrical work may need to be approved by your local authority’s building control division to ensure it satisfies safety requirements. Personalised Bathroom Fittings - Choosing a new bathroom suite and fittings should be fun but supply-only bathroom stores offer limited styles and, having not assessed the room first hand, are often unable to confirm which fittings and fixtures will suit its dimensions or water pressure. As well as taking measurements and assessing water pressure, our designers are familiar with a vast range of latest suites, showers and bathroom technologies. This allows them to not only advise on the best solution for your home but suggest items to enhance your bathing or showering experience. For example, if you’re always on the go, a jacuzzi bath is ideal for soothing tension and other aches and pains. 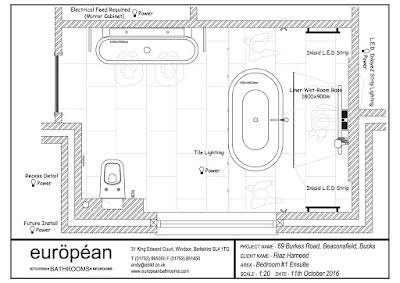 Convenience – European Bathrooms’ designers are on hand right from the start to measure up and discuss design ideas. Once you’re decided on your perfect layout and suite, we can even arrange full professional installation, along with all the finishing touches, tiling, lighting, flooring and decorating. European Bathrooms take you from planning to completion. Ready to start your dream bathroom? Book your at-home bathroom design consultation here, or find out more by calling into our Amersham or Windsor bathroom showrooms.